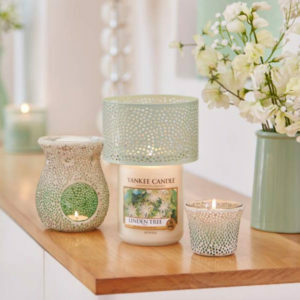 To get the most out of your much loved Yankee Candle, there are a few things you can do to ensure it lasts and burns correctly so you don’t waste any of your product. Follow these easy steps to get the most out of your Candle. Remove your candle from Direct drafts & close nearby windows and doors. Allow to Pool. As with all candles, the first burn is the most important To begin, candles should burn one hour for every 1 inch in diameter of the actual candles size. Therefore, a large Jar should burn for a minimum of 4 hours to liquefy the entire top layer of wax. If the wax is not allowed to liquefy or to melt from the Edge to edge of the Jar or Tumbler, it will create a “memory ring”, especially if this is the first time the candle is lit. Once a candle has this “memory ring”, it will continue to tunnel and burn that way for the life of the candle. Trim your Wick. We suggest trimming the wick every 4 hours of burn time. When wick trimming, you should always extinguish the flame, let the candle come to room temperature, and trim the wick to 2mm before relighting. Use an Illuma-Lid for a clean burn. A great candle tool to prevent tunneling and promote a clean, even burn that uses every inch of wax is the Illuma-lid. The Illuma-lid sits on top of the large or medium Jar and helps to steady the flame so that an even wax pool is formed. The specially designed shape of the Illuma-Lid also helps to keep the heat of the flame inside the jar rather than escaping. That ensures a clean, even burn that will provide a full wax pool. The result is a jar that burns clean, even, and when used with a well-maintained wick, can prevent excess soothing. All while allowing superb distribution of the fragrance. Always burn your candle on a heat resistance surface. Shades and trays prevent heat damage to your surfaces. Know when to say goodbye. Once your candle is 1cm from the bottom it’s time to choose another favourite to burn. Here’s a video to take you through the process….